Yeah, we know. Why would Bumblebee need a sword and a shield? After all, he’s a Transformer that has access to lasers, missiles, ray guns, and every other type of weapon that you can find on Cybertron. It seems like having such a rudimentary kind of weapon is quite unnecessary, doesn’t it? Well, we’ve figured it out. We know why he carries a sword and shield with him… it’s because swords are awesome! Sure, he might not NEED a sword, but swords are much cooler than any other weapon ever made. Laser guns and missiles don’t even come close! With this Bumblebee sword and shield set, your child can have that awesome weapon. This Bumblebee sword and shield set is officially licensed from the Transformers movies. The sword is made of molded plastic and makes real sound effects from the movie. Just press the button and listen to the cool battle sounds! The shield is also made of molded plastic and has elastic bands in the back. 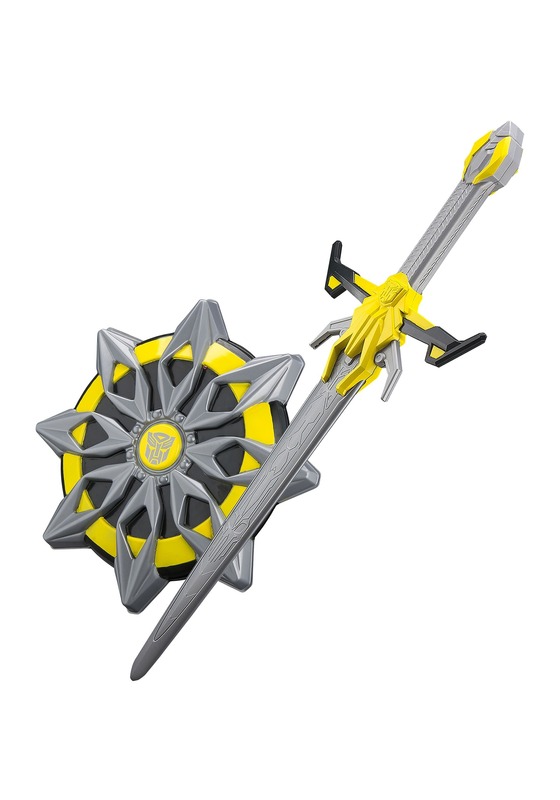 Any child who wants to become Bumblebee won’t want to miss out on this sword and shield combination. Pair it up with any of our licensed Transformers costumes and your child will be ready to fight some Decepticons!